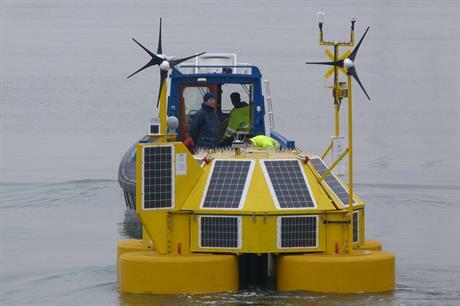 NETHERLANDS: RWE Innogy will install a second floating lidar buoy off the coast of the Netherlands. RWE will put an Eolos metocean buoy next to its met mast located 75 kilometres off Ijmuiden, on the Dutch coast. It will collect data at the site over six months and the information will be analysed by a independent expert, RWE said. The trial forms part of the Carbon Trust's offshore wind accelerator programme, which is focusing on the validation of floating lidars. Floating lidars are smaller, more mobile and easier to install than met masts, which should help bring down the cost of energy. The trial is RWE's second following a partnership with Eneco to install a Fugro Oceanor lidar at the same site. The Fugro lidar operated for six months and RWE said its results "demonstrated high accuracy" compared to the met mast.